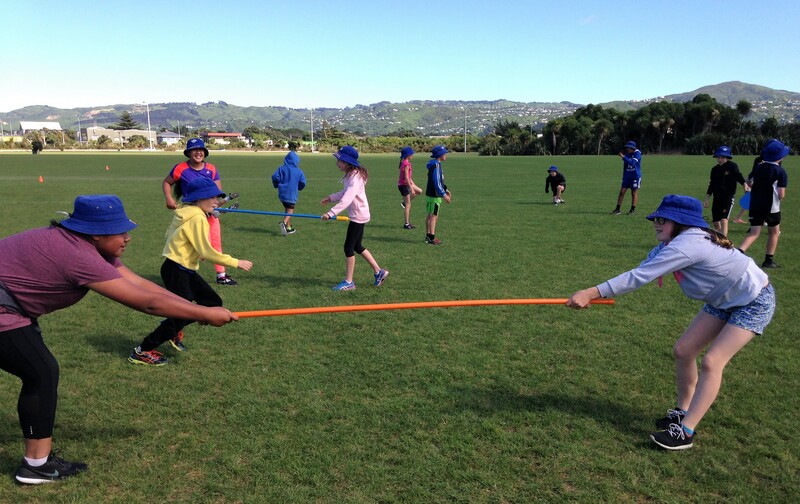 Earlier this week a number of Wellington schools were invited to participate in the Fundamental Movement Skills (FMS) “Big Day Out” activity day. This was an opportunity for local schools to experience the FMS programme, before registering their schools for these programmes in 2018. The four programmes that make up FMS are Aquatics, Movemprove, Get Set Go / Run Jump Throw and Football. The children participated in 30 minute rotation sessions designed to develop a greater understanding of the FMS project and how all four programmes link together. 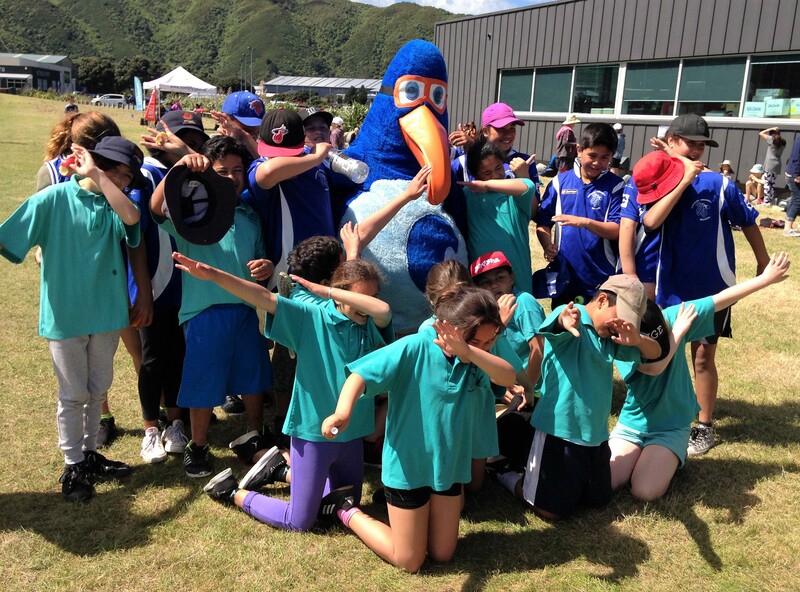 Koru the Kiwi also made an appearance and was warmly welcomed by the children as many children recognised him from previous school visits. The Aquatics station involved dryland lifejacket drills where the children learnt to put on their own lifejackets, how to check they fit properly, performing HELP and huddle sequences and simulating moving in groups. They also learnt about recognising symptoms of hypothermia and the best ways to stay warm in the water. Participants simulated reach and throw rescues with a range of equipment including reach poles, flutter boards, plastic bottles with ropes tied to them and lifejackets. The children learnt about the importance of not entering the water to help anyone in trouble and were instead encouraged to perform dry rescues with the above equipment. A fun game of “memory” wrapped up the aquatics session as participants worked in groups to remember as many of the 20 items used in everyday learn to swim and water safety experiences. All of the dryland aquatic skills are taught in a way that can be repeated by school teachers back in the school environment. The understanding of water safety, making sensible decisions around water and recognising emergency situations is a big part of the Water Skills For Life framework. 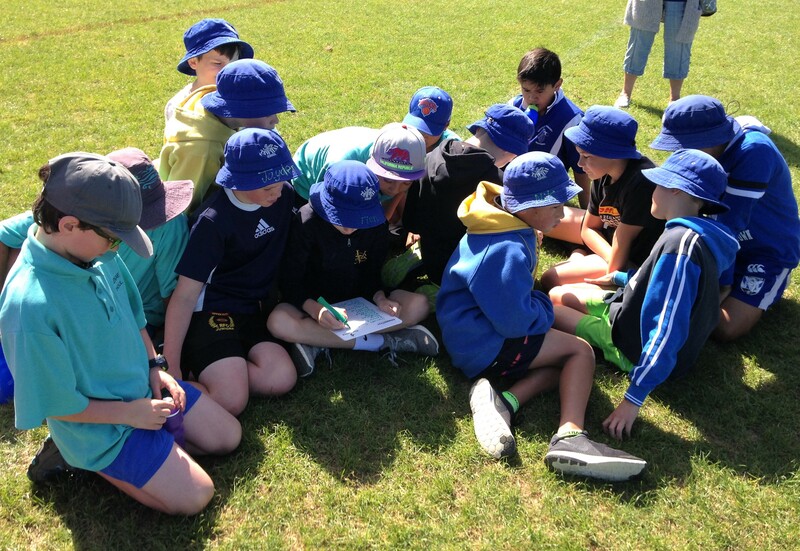 The Big Day Out provided a very valuable process for the children and their teachers to go through – particularly at this time of year when the weather is warming up and we are beginning to enjoy the water more frequently. 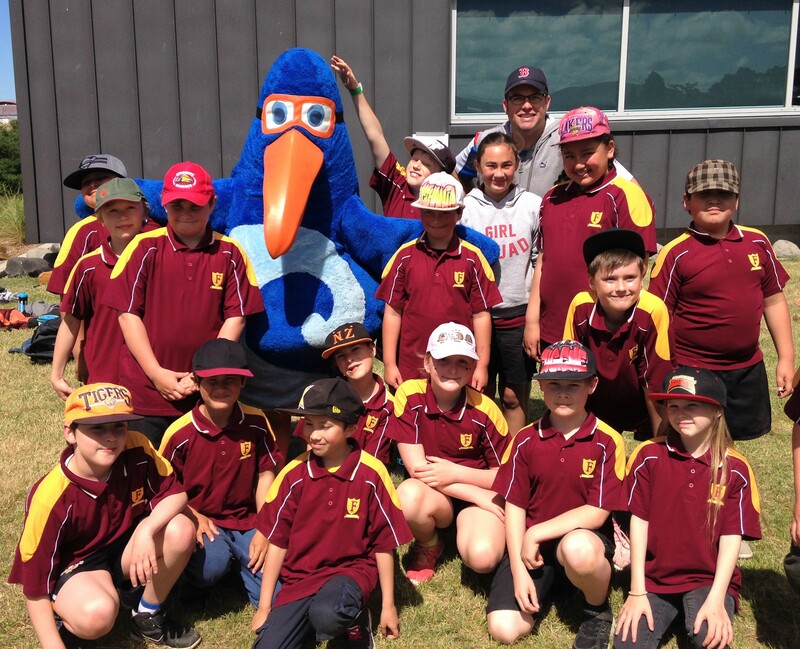 Thank you to Sarah Gibbison - Education Advisor (Wellington, Nelson / Marlborough and Wairarapa) for the article.